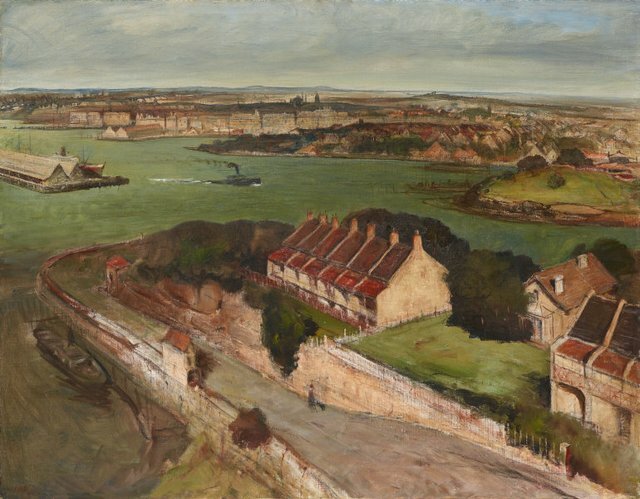 Rees described his first impressions of Sydney as he arrived by ship through the Heads in 1916. This painting won the Wynne Prize in 1950 and was acquired by the Gallery in 1950. Signed and dated l.l. corner, red oil "L REES/ 50".